Gina has lost her perfect job, her boyfriend and her favourite aunt all within the space of a few months. 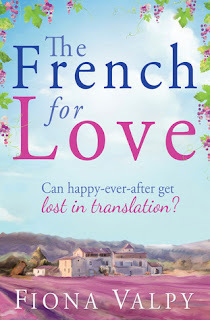 So when she inherits her aunt’s ramshackle French house, Gina decides to pack her bags for the Bordeaux countryside – swapping the miserable English weather for blue skies, sunshine, great wine and a fresh start. 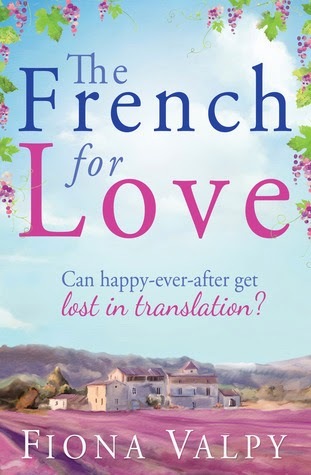 I enjoyed The French for Love for all the reasons you could imagine with such a title. It was warm and inviting and filled with promises of love. Our leading lady, Gina, is at a loss with a past year full of changes and doesn’t know what direction to take next so her decision to move into her aunt’s cottage in rural France seems to be an ideal plan while she sorts out her head. I found myself longingly hoping for some long lost aunt to turn up and hand me the keys to a rural idyll too… perhaps not going to happen, but I was drawn into the fantasy of warm summer nights and cicadas constantly buzzing in the background. The knowledge of wine making and the wine industry were perfect for the setting and added a lot to the authenticity of the novel and Gina’s career. Gina’s persona is very likeable (even if I was a bit jealous of her new life style, I still liked her!) and frankly there’s not much more that could have been thrown at her in such a short space of time - it would throw anyone’s life into turmoil. She has no real ties to the UK with the exception of her mother and a good friend from work. I did wonder how likely that would be, but I suppose France and England are around the corner from each other these days so perhaps not a big deal to move across the channel any more. I liked that Valpy brought up some family strains and tied them back together succinctly while leaving us room for thought. I really appreciated that Gina’s relationship with her mother was given some closure. I think Gina needed that sorted out and without the proper conclusion I would have been disappointed. Her life in France seems pretty simple and the people she meets are equally so - there aren’t really any hidden agendas and though you’re always somewhat aware of the end result it doesn’t take away from the sweet nature of this novel. It opened a sense of community to the reader that is often missing in our hectic lives. All in all The French for Love is a simple and sweet love story with everything you would expect.